The exhaust mainfold you can find in category Trabant 601 > Spare parts > Exhaust system. 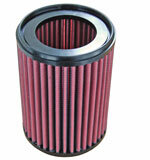 Paper filter fit to all 2-stroke engines of Trabant without vinage limit. Paper filter fit to all 2-stroke engines of Trabant without vintage limit. 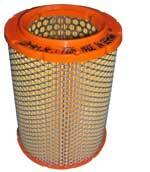 Usealbe for an long period, because the filter can be cleaned by washing. engine cover on top of the air-cooling housing Trabant two stroke. Transmissoinsbelt (without teeth) for the Trabant 500,600 and 601 engine. The V-belt (wide 10 mm, lenght 1000 mm) fit to all direct current (DC) dynamo (6V and 12V) and to all rotary current (AC) dynamo (12V) for Trabant wit 2-stroke motor. Transmissoinsbelt (with teeth) for the Trabant 500,600 and 601 engine. Transmissoinsbelt in high quality with teeth for the Trabant 500,600 and 601 engine. Cover plate for mounting at the engine. The release spring will be lowered in to release the carburettor cable. The spare part is new and made of stainless steel.